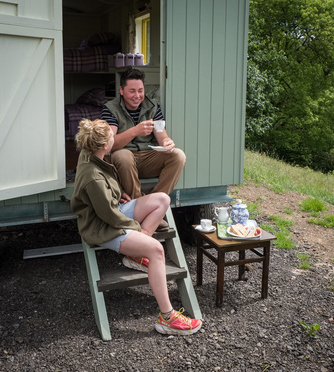 Our fabulous new Shepherds Hut ensures you will do just that! 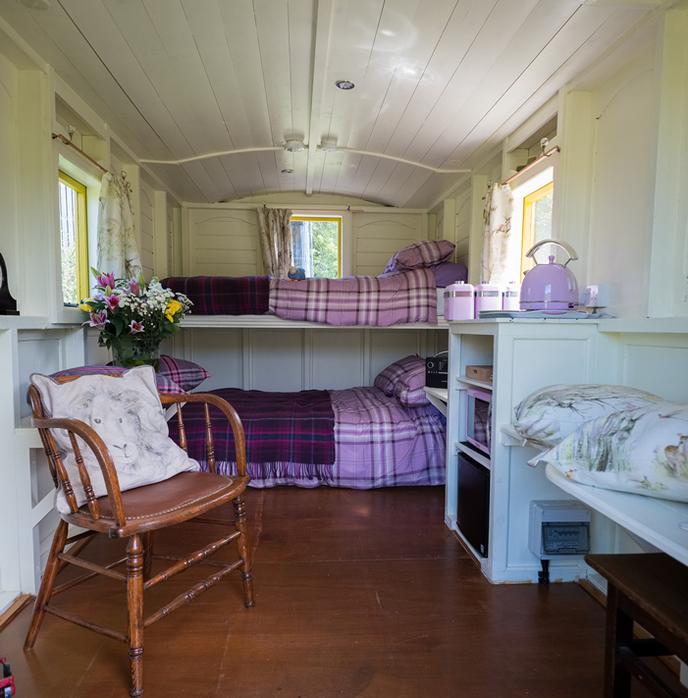 'Rosedale Light' is our fabulous brand new Shepherds Hut! 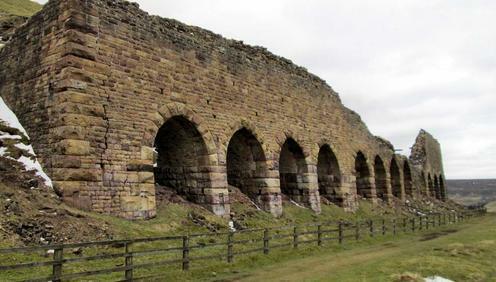 Birdsong, peace and tranquility, wildlife, just melt yourself into the amazing Rosedale scenery! Please email daleheadfarm@moorsweb.co.uk or call 01751 417353 or 07940 385065 for further details. Really enjoyed our stay in the shepherds hut, the accommodation was lovely and so different to anywhere we have stayed before. 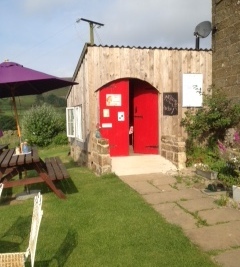 The surroundings are so tranquil and the hut is situated in the countryside with amazing views. 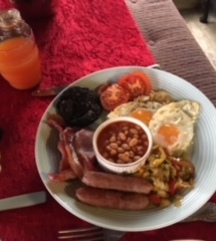 The hut itself is of a high standard, very cosy and welcoming, the log burner is an added bonus we managed a very peaceful nights sleep which is rare when we stay elsewhere. The hosts Maggie and family are wonderful, she went above and beyond our expectations to make our stay enjoyable and ensured we had everything we needed and more!. The breakfast in the morning was faultless! Really quality local ingredients and Maggie's baking alone is well worth the trip! 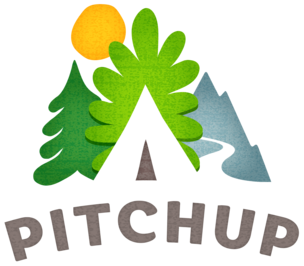 We enjoyed our stay so much we have booked another two nights here and we are very much looking forward to it. Our only negative is that we didnt try one of maggies famous jam and cream scones! Hopefully next time! 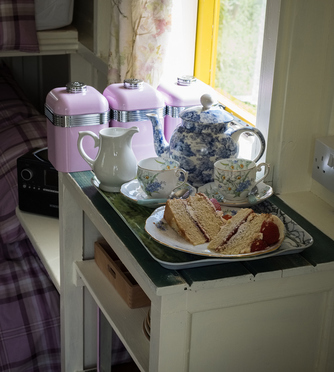 Shepherds Hut - Where to start with this lovely place?! 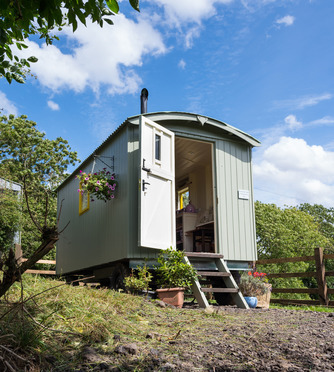 We spotted the new Shepherds Hut whilst stopping for tea & cake at Dale Head (equally as wonderful I might add) and booked in straight away for a nights stay the following weekend. The place and experience were both stunning. The hut itself is lovely, comfortable, warm and cosy, with the most comfy bed ever. Maggie was so welcoming without being fussy, showed us around, asked where we would like our breakfast in the morning, checked we were okay for dinner plans, and then left us to it - to the stunning scenery and blissful silence. The view from the door of the hut is simply spectacular and the log burner is a delight - so much so that we couldn't wait for the rain to come in so that we could light it. There were homemade ginger biscuits in a tin which were delicious and breakfast the next morning was the best I have ever had (I mean that). The walking in the area is beautiful and it literally on the doorstep. Altogether, genuinely a stunning place to stay, we've already booked in again for two nights in September! "What a marvellous find. The tomato and basil soup was the best we've ever had." 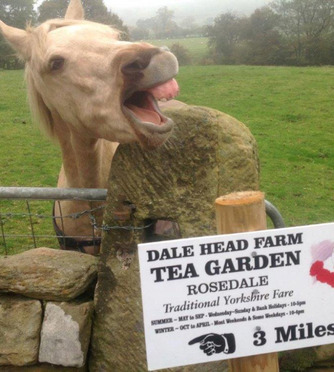 "Fantastic true Yorkshire produce, cannot be beaten. Definitely will return." "What a lovely surprise. Friendly and comfortable, thanks." "You are so lucky - great views and so peaceful. Fab tea too!" "The lemon cake to die for, the apple cake fantastic. Will def be back!" 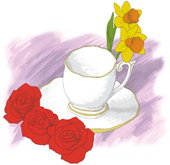 It's diverse and fun meeting all the lovely, inspirational people that visit our Tea Garden. Hope to see you all again soon.